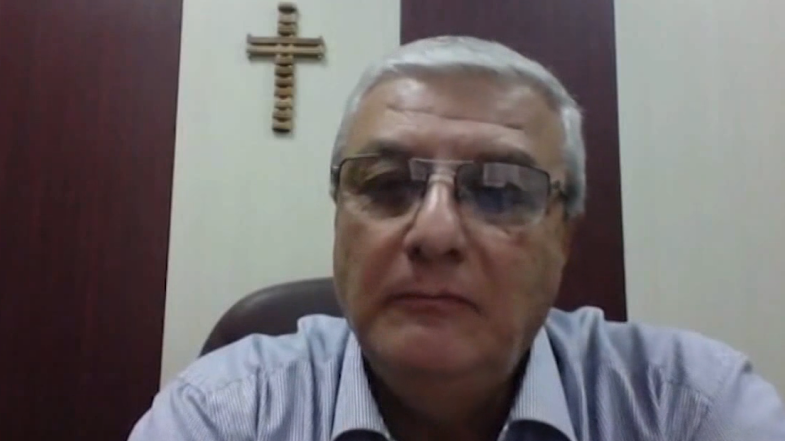 BAGHDAD, Iraq — The founder of Iraq’s only Christian radio station is praising God for his protection after he and a deacon from his church walked away unharmed from a recent bomb blast in the ISIS-occupied nation. The danger became a reality two weeks ago when Fouad and an unnamed deacon took their church bus to a repair shop after it broke down and found themselves in the center of an explosion. “On Tuesday, our Baghdad church bus broke down and needed a spare part. Pastor Maher and a deacon from the church went to a garage to fix it. The mechanic told Maher that he doesn’t have the part and directed him to another garage,” Fouad’s staff explained on the ministry website, GospeltoIraq.com. While the bomb blast caused damage to the church bus, Fouad and the deacon walked away without injury. “All the windows of our church bus were completely shattered from the pressure of the explosion. Dust and debris was everywhere and covered Pastor Maher and the deacon. Yet, he and the deacon were not touched! They were completely spared and not harmed,” Fouad’s staff outlined. The pastor was emotionally “shaken” following the explosion, but is thanking God for His protection. “He praises the Lord for God’s protection upon His people,” the post states. Fouad founded 102.9 FM a decade ago and continues to share the gospel on the air despite death threats and increasing violence from ISIS in the nation. And while thousands of Christians and others have fled Iraq for their lives, Fouad has no plans to go anywhere. “We rejoice because many, many people are listening and receiving the message and are responding to the message of the gospel,” he said.